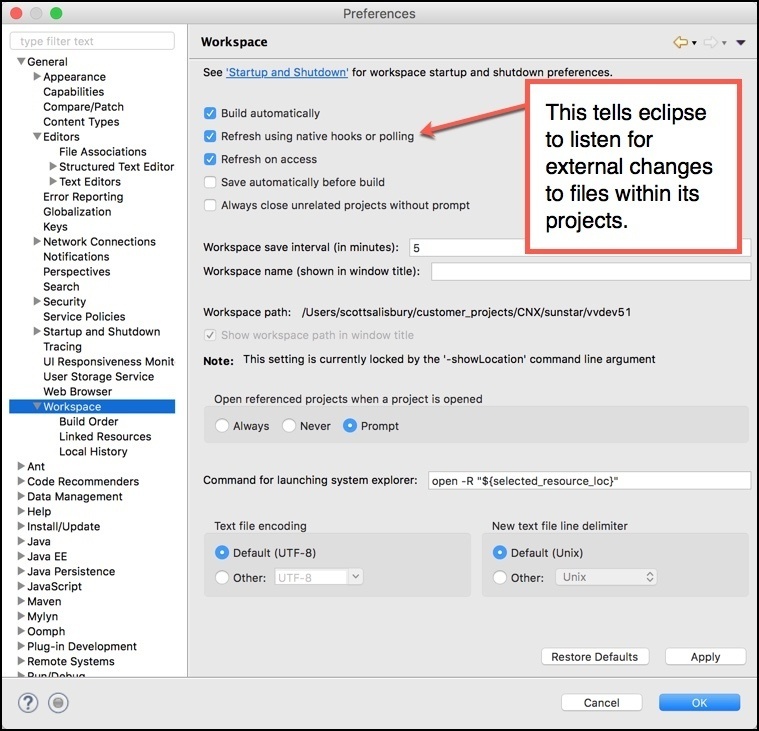 Otherwise Eclipse will simply not see changes made by other editors. Here is a link to the Eclipse documentation that deals with this. Check the box for "Refresh using native hooks or polling"